2010 in Napa Valley was yet another season in paradise. Early rains brought our vines to budbreak right on schedule, followed by cooler than average temperatures thru most of summer. Careful crop and canopy management protected our grapes from the late summer heat spike, and when cooler temperatures returned in late September, the extended hang-time gave our clusters concentrated flavors, dark colors, and an incredible perfume of ripeness. This vintage was harvested under ideal conditions and we consider it outstanding. We hand sorted our grapes both prior to and after de-stemming, and following a four day whole berry maceration and cold soak, we began primary fermentation. After nearly three weeks, the wine was gently pressed-off and racked to 36 monthaged tight grain French Oak barrels to complete a slow secondary fermentation for another few weeks. After 20 months in barrel, we blended the final wine at the beginning of June and returned the wine to barrel for an additional two months to allow the flavors and components of the individual varietals to marry. Silver Medal – 2013 San Francisco Chronicle Wine Competition $60 & over Cabs. 2011 in Napa Valley was a challeging season, with cooler temperatures and October rain. We were fortunate to pick the day before the rain, and again at the end of the month after a second heat spike that provided ideal ripening. This resulted in an opportunity to creat a stellar wine with soft tannins yet strong structure. While the 2011 is approachable early, it has a delightfuly delicate nose, tastes of red and black fruits, chocolate, and attractive charcoal, and should cellar well into the next decade. We hand sorted our grapes both prior to and after de-stemming, and following a four day whole berry maceration and cold soak, we began primary fermentation. After nearly three weeks, the wine was gently pressed-off and racked to the finest 36 month-aged tight grain French Oak barrels to complete a slow secondary fermentation for another few months. After 20 months in barrel, we blended the final wine at the beginning of June and returned the wine to barrel for an additional two months to allow the flavors and components of the individual varietals to marry. 2012 was a blockbuster near-perfect vintage year, yielding a crop of spectacular fruit that produced a high-structure wine, and should stand out for decades to come. Summer and fall had warm temperatures, but no notable heat waves, which in turn permitted the grapes to reach a very even ripeness. We picked the Cabernet over three days under truly the most ideal conditions in mid-October, and expect 2012 will turn out to be a new pinnacle for our Estate. We hand sorted our grapes both prior to and after de-stemming, and following a four day whole berry maceration and cold soak, we began primary fermentation. After nearly three weeks, the wine was gently pressed-off and racked to 75% new Darnajou and Tarransaud 36 month-aged tight grain French Oak barrels to complete a slow secondary fermentation for another few months. The intense fruit profile and high tannin structure resulted in us deviating from our prior two year's 22 month barrel aging, as we felt an extra 3 months in barrel would not add significance to the wine's characteristics - it already had the best possible balance of fruit, tannins and oak. After 17 months in barrel, we blended the final wine at the beginning of March and returned the wine to barrel for an additional two months to allow the flavors and components of the individual varietals to marry. This wine will be bottle aged for nearly 18 months before its fall 2015 release. Established in 2010, our Cabernet Sauvignon is hand crafted by the legendary Nils Venge from grapes grown exclusively in our historic Pellet Vineyard®, a site that has been producing grapes for over 150 years. The Pellet Vineyard’s origin begins in 1859, when pioneer winemaker Henry Alphonse Pellet was hired by John Patchett to make wine from his grapes near the city of Napa. Charles Krug had also begun to make wine in 1858, and Henry Pellet became the second commercial wine maker in Napa County. Formally established in 1863, the Pellet Vineyard was among the first vineyards in Napa Valley intended for producing grapes for wine for consumers at large, rather than family & friends. In 1863, Pellet purchased 45 acres of land south of the town of St. Helena next to his neighbor, Dr. G.B. Crane, and planted 38 acres in vineyards. Our label depicts the dawn of the age of electrification, the era when Pellet illuminated the path towards modern methodology, and with it, the high quality and age-worthy wines that define Napa Valley. 2013 was another near-perfect vintage, perhaps surpassing 2012, yielding a crop of smaller-berried fruit that produced a intense wine, and should stand out for decades to come. Compared to last year, 2013 produced smaller berries, which means a higher ratio of skins to juice, leading to higher levels of color and tannin. We had one heat spike in late June/early July, and the weather was generally dry, warm even and consistent throughout the season. We picked the Cabernet over three days under truly the most ideal conditions in late September, and expect 2013 will turn out to be yet another new pinnacle for our Estate - back to back stellar vintages for 2012 and 2013 in our opinion, with 2013 having a bit of an edge at the moment. We hand sorted our grapes both prior to and after de-stemming, and following a four day whole berry maceration and cold soak, we began primary fermentation. After nearly three weeks, the wine was gently pressed-off and racked to 75% new Darnajou and Tarransaud 36 month-aged tight grain French Oak barrels to complete a slow secondary fermentation for another few months. This wine is still in barrel under development, is showing amazing saturation of color, and as with 2012, will be bottle aged for around 18 months before its fall 2016 release. Pellet Estate produces Chardonnay from the Sunchase Vineyard, and Cabernet Sauvignon from grapes grown exclusively in our historic Pellet Vineyard®, a site that has been producing grapes for over 150 years. The Pellet Vineyard’s origin begins in 1859, when pioneer winemaker Henry Alphonse Pellet was hired by John Patchett to make wine from his grapes near the city of Napa. Charles Krug had also begun to make wine in 1858, and Henry Pellet became the second commercial wine maker in Napa County. Formally established in 1863, the Pellet Vineyard was among the first vineyards in Napa Valley intended for producing grapes for wine for consumers at large, rather than family & friends. In 1863, Pellet purchased 45 acres of land south of the town of St. Helena next to his neighbor, Dr. G.B. Crane, and planted 38 acres in vineyards. Our label depicts the dawn of the age of electrification, the era when Pellet illuminated the path towards modern viticultural and winemaking methodology, and with it, the high quality and age-worthy wines that define Napa Valley. We hand sorted our grapes both prior to and after de-stemming, and following a four day whole berry maceration and cold soak, we began primary fermentation. After nearly three weeks, the wine was gently pressed-off and racked to 100% newDarnajou and Tarransaud 36 month-aged tight grain French Oak barrels to complete a slow secondary fermentation for another few months. The intense fruit profile and high tannin structure resulted in us deviating from our prior two year’s 22 month barrel aging, as we felt an extra 3 months in barrel would not add significance to the wine’s characteristics - it already had the best possible balance of fruit, tannins and oak. After 17 months in barrel, we blended the final wine at the beginning of March and returned the wine to barrel for an additional two months to allow the flavors and components of the individual varietals to marry. This year’s Reserve yielded a single barrel, blended from selections from the top barrels in our progam. Pellet Estate produces Chardonnay from the Sunchase Vineyard, and Cabernet Sauvignon from grapes grown exclusively inour historic Pellet Vineyard®, a site that has been producing grapes for over 150 years. 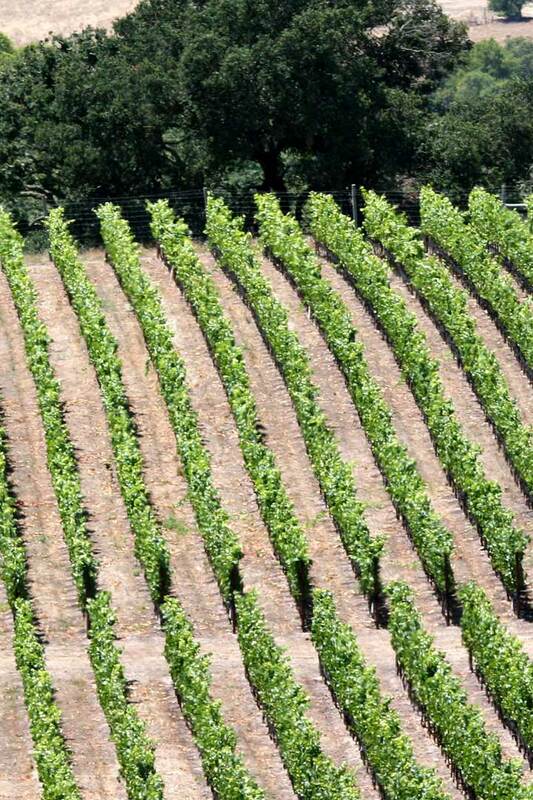 The Pellet Vineyard’s origin begins in 1859, when pioneer winemaker Henry Alphonse Pellet was hired by John Patchett to make wine from his grapes near the cityof Napa. Charles Krug had also begun to make wine in 1858, and Henry Pellet became the second commercial wine maker in Napa County. Formally established in 1863, the Pellet Vineyard was among the first vineyards in Napa Valley intended for producing grapes for wine for consumers at large, rather than family & friends. In 1863, Pellet purchased 45 acres of land south of the town of St. Helena next to his neighbor, Dr. G.B. Crane, and planted 38 acres in vineyards. Our label depicts the dawn of the age of electrification, the era when Pellet illuminated the path towards modern viticultural and winemaking methodology, and with it, the high quality and age-worthy wines that define Napa Valley. We hand sorted our grapes both prior to and after de-stemming, and following a four day whole berry maceration and cold soak, we began primary fermentation. After nearly three weeks, the wine was gently pressed-off and racked to 100% new Darnajou and Tarransaud 36 month-aged tight grain French Oak barrels to complete a slow secondary fermentation for another few months. This year’s Reserve features the standout Merlot, and yielded a bit more than a single barrel, hand blended from selections from the top barrels in our progam. Pellet Estate produces Chardonnay from the Sunchase Vineyard, and Cabernet Sauvignon from grapes grown exclusively in our historic Pellet Vineyard®, a site that has been producing grapes for over 150 years.The Pellet Vineyard’s origin begins in 1859, when pioneer winemaker Henry Alphonse Pellet was hired by John Patchett to make wine from his grapes near the city of Napa. Charles Krug had also begun to make wine in 1858, and Henry Pellet became the second commercial wine maker in Napa County. Formally established in 1863, the Pellet Vineyard was among the first vineyards in Napa Valley intended for producing grapes for wine for consumers at large, rather than family & friends. In 1863, Pellet purchased 45 acres of land south of the town of St. Helena next to his neighbor, Dr. G.B. Crane, and planted 38 acres in vineyards. Our label depicts the dawn of the age of electrification, the era when Pellet illuminated the path towards modern viticultural and winemaking methodology, and with it, the high qulity and age-worthy wines that define Napa Valley. 2014 was another near-perfect vintage, perhaps surpassing 2013, yielding a crop of concentrated fruit that produced a intense wine, and should stand out for decades to come. Compared to last year, 2014 produced smaller than average berries, which means a higher ratio of skins to juice, leading to higher levels of color and tannin. We had one heat spike in late June/early July, and the weather was generally dry, warm even and consistent throughout the season. We picked the Cabernet under the most ideal conditions in late September, and expect 2014 will turn out to be yet another new pinnacle for our Estate - triple back to back stellar vintages for 2012, 2013 and 2014 in our opinion, with 2014 having a bit of an edge at the moment. We hand sorted our grapes both prior to and after de-stemming, and following a four day whole berry maceration and cold soak, we began primary fermentation. After nearly three weeks, the wine was gently pressed-off and racked to 100% new Darnajou and Ermitage 36 month-aged tight grain French Oak barrels to complete a slow secondary fermentation for anoth-er few months. This year’s Reserve features 85% Cabernet Sauvignon (50/50 Clones 4 & 337), and 15% Merlot, which yielded almost two barrels, then hand blended from the top barrels in our progam. Harvested in early September from vineyards overlooking the Petaluma Gap, the fruit was picked in pristine condition. After hand sorting the grapes, the grapes were pressed whole cluster, releasing the juice that was racked to tank and allowed to cold settle for 24hours. The juice was then inoculated with a yeast strain isolated from the Cote de Beaune, France and racked to 36 month-aged tight grain French Oak barrels for primary fermentation, followed by a very slow secondary Malolactic fermentation over the next 6 months. The lees were stirred regularly in the first five months, giving mouth feel and texture to the wine. This wine represents the finest and purest hand crafted expression of our chardonnay vineyard and while is beautiful to enjoy right away, it will benefit from extended cellaring into the next decade. Harvested in early September from vineyards overlooking the Petaluma Gap, the fruit was picked in pristine condition. After hand sorting the grapes, the grapes were pressed wholecluster, releasing the juice that was racked to tank and allowed to cold settle for 24 hours. The juice was then inoculated with a yeast strain isolated from the Cote de Beaune, France and racked to 36 month-aged tight grain French Oak barrels for primary fermentation, followed by a very slow secondary Malolactic fer-mentation over the next 6 months. The lees were stirred regularly in the first five months, giving mouth feel and texture to the wine. This wine represents the finest and purest hand crafted expression of our chardonnay vineyard and while is beauti-ful to enjoy right away, it will benefit from extended cellaring into the next decade. Harvested in mid-September from vineyards overlooking the Petaluma Gap, the fruit was picked in pristine condition. After hand sorting the grapes, the grapes were pressed wholecluster, releasing the juice that was racked to tank and allowed to cold settle for 24hours. The juice was then racked to stainless steel barrels and inoculated with a yeast strain isolated from the Cote de Beaune, France. Following a slow and cool primary fermentation, the chardonnay was then prevented from going through Malolactic fermentation. The lees were stirred regularly in the first three months, giving mouth feel and texture to the wine. Prior to bottling the wine was gently filtered and allowed to rest in tank. It represents a pure expression of our chardonnay vineyard and is beautiful to enjoy right away. Pellet Estate produces Chardonnay from the Sunchase Vineyard, and Cabernet Sauvignon from grapes grown exclusively in our historic Pellet Vineyard®, a site that has been producing grapes for over 150 years.The Pellet Vineyard’s origin begins in 1859, when pioneer winemaker Henry Alphonse Pellet was hired by John Patchett to make wine from his grapes near the city of Napa. Charles Krug had also begun to make wine in 1858, and Henry Pellet became the second commercial wine maker in Napa County. Formally established in 1863, the Pellet Vineyard was among the first vineyards in Napa Valley intended for producing grapes for wine for consumers at large, rather than family & friends. In 1863, Pellet purchased 45 acres of land south of the town of St. Helena next to his neighbor, Dr. G.B. Crane, and planted 38 acres in vineyards. Our label depicts the dawn of the age of electrification, the era when Pellet illuminated the path towards modern viticultural and winemaking methodology, and with it, the high quality and age-worthy wines that define Napa Valley. Harvested in mid-September from vineyards overlooking the Petaluma Gap, the fruit was picked at optimal development. After hand sorting the grapes three times, the grapes were pressed whole cluster, and was then racked to tank and allowed to cold settle for 24-48 hours. The juice was then racked to stainless steel barrels and inoculated with a yeast strain isolated from the Cote de Beaune, France. Following a slow and cool primary fermentation, the chardonnay was then prevented from going through Malolactic fermentation. The lees were stirred regularly and frequently, giving mouth feel and texture to the wine. Prior to bottling the wine was lightly filtered and allowed to rest in tank. It represents a pure expression of the vine-yard and is beautiful to enjoy right away. Pellet Estate produces Chardonnay from the Sunchase Vineyard, and Cabernet Sauvignon from grapes grown exclusively in our historic Pellet Vineyard® a site that has been producing grapes for over 150 years. The Pellet Vineyard’s origin begins in 1859, when pioneer winemaker Henry Alphonse Pellet was hired by John Patchett to make wine from his grapes near the city of Napa. Charles Krug had also begun to make wine in 1858, and Henry Pellet became the second commercial wine maker in Napa County. Formally established in 1863, the Pellet Vineyard was among the first vineyards in Napa Valley intended for producing grapes for wine for consumers at large, rather than family & friends. In 1863, Pellet purchased 45 acres of land south of the town of St. Helena next to his neighbor, Dr. G.B. Crane, and planted 38 acres in vineyards. Our label depicts the dawn of the age of electrification, the era when Pellet illuminated the path towards modern viticultural and winemaking methodology, and with it, the high quality and age-worthy wines that define Napa Valley. 2014 was another near-perfect vintage, perhaps surpassing 2013, yielding a crop of concentrated fruit that produced a intense wine, and should stand out for decades to come. Compared to last year, 2014 produced smaller than average berries, which means a higher ratio of skins to juice, leading to higher levels of color and tannin. We had one heat spike in late June/early July, and the weather was generally dry, warm even and consistent throughout the season. We picked the Merlot the earliest ever, yet still under the most ideal conditions in early September, and expect 2014 will turn out to be yet another new pinnacle for our Estate - triple back to back stellar vintages for 2012, 2013 and 2014 in our opinion, with 2014 having a bit of an edge at the moment. We hand sorted our grapes both prior to and after de-stemming, and following a four day whole berry maceration and cold soak, we began primary fermentation. After nearly three weeks, the wine was gently pressed-off and racked to 100% new Tarransaud 36 month-aged tight grain French Oak barrels to complete a slow secondary fermentation for another few months. This year’s inagural Merlot is pure Merlot, which yielded just over one barrel. Established in 2010, Pellet Estate produces Chardonnay from the Sunchase Vineyard, and Cabernet Sauvignon from grapes grown exclusively in our historic Pellet Vineyard®, a site that has been producing grapes for over 150 years. The Pellet Vineyard’s origin begins in 1859, when pioneer winemaker Henry Alphonse Pellet was hired by John Patchett to make wine from his grapes near the city of Napa. Charles Krug had also begun to make wine in 1858, and Henry Pellet became the second commercial wine maker in Napa County. Formally established in 1863, the Pellet Vineyard was among the first vineyards in Napa Valley intended for producing grapes for wine for consumers at large, rather than family & friends. In 1863, Pellet purchased 45 acres of land south of the town of St. Helena next to his neighbor, Dr. G.B. Crane, and planted 38 acres in vineyards. Our label depicts the dawn of the age of electrification, the era when Pellet illuminated the path towards modern viticultural and winemaking methodology, and with it, the high quality and age-worthy wines that define Napa Valley. Ruby red clear with deep hues. Expressive aromas over flow the glass with strawberry, rubarb and light raspberry . On the palate this wine displays a silky texture that glides across the mouth seamlessly intertwining flavors of berries and dark cherry blossom. This is a crisp and dry rose with a medium body and high fruit flavors, providing depth and complexity on the finish. 2014 was another near-perfect vintage, perhaps surpassing 2013, yielding a crop of smaller-berried fruit that produced a intense wine, and as a vintage should really stand out. Compared to last year, 2014 produced similar small berries, which means a higher ratio of skins to juice, leading to higher levels of color and tannin. We had one heat spike in late June/early July, and the weather was generally dry, warm even and consistent throughout the season. We picked the Cabernet over three days under truly the most ideal conditions in late September, and expect 2013 will turn out to be yet another new pinnacle for our Estate - back to back stellar vintages for 2013 and 2014 in our opinion, with 2014 having a bit of an edge at the moment. Dark Ruby Red, clear with deep hues. Expressive aromas over flow the glass with strawberry, rubarb and light raspberry. On the palate this wine displays a silky texture that glides across the mouth seamlessly intertwining flavors of berries and dark cherry blossom. This is a crisp and dry rose with a medium body and high fruit flavors, providing depth and complexity on the finish. 2015 was another near-perfect vintage, perhaps surpassing the past 3 years, yielding a tiny crop of smaller-berried fruit that produced a intense wine, and as a vintage should really stand out. Compared to last year, 2015 produced super small berries, which means a higher ratio of skins to juice, leading to higher levels of color and tannin. We had one heat spike in late June/early July, and the weather was generally dry, warm even and consistent throughout the season. We picked the Cabernet under the most ideal conditions in late September, and expect 2015 will turn out to be yet another new pinnacle for our Estate - back to back stellar vintages from 2012 to 2015 in our opinion, with 2015 having a bit of an edge at the moment.